But the Republican who aspires to run again for president in 2020 — after failing to take down Trump for the GOP nomination in 2016 — did not have high hopes for the Helsinki meeting. “It’s very concerning … I just view this with great trepidation,” Kasich told CNN’s Anderson Cooper during a TV appearance on the cable network on Monday morning. “I don’t understand it, frankly. “This is not an appropriate way to approach Putin,” the governor said prior to a press conference with Trump and Putin. 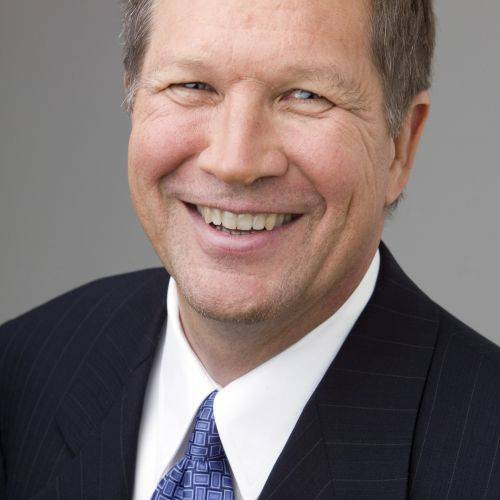 Kasich recited Putin’s transgressions, from annexing Crimea to supporting Syrian dictator Bashar al-Assad to Russian military intelligence officers hacking Democratic computer systems, to point out what he considered inappropriate about the Putin-Trump summit. The hacking for which 12 Russian officers were indicted last week should have been part of Trump’s “opening statement” to object to election meddling, Kasich said. The governor also chided Trump for mistreating America’s allies — even using the phrase “one-on-one bullying” — during recent meetings regarding NATO and the European Union.